May Mansoor Munn obituary. Carnes Funeral Home. May Mansoor Munn passed on Saturday, August 18, 2018 after a protracted battle with Parkinson’s at age 83. 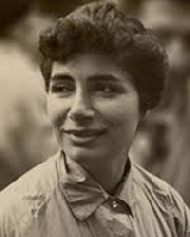 Born in Jerusalem, Palestine on December 22nd in 1934, the daughter of Dr. Jiries Mansur and Ellen Audi Mansur, May spent her young adult years attending the Friends Girls’ School and Quaker Meeting in Ramallah. At age 15, She left Ramallah to earn a degree in English and Theology from Earlham College in Richmond, Indiana. After returning to Ramallah, she taught at the Friends Girls’ School. In 1955, May married Isa Mansoor and they moved to Dalton, Georgia - ultimately settling in Houston, Texas. After her husbands passing, May decided to study History at the University of Houston, earning her Texas teaching certificate. May taught World and Texas History at Memorial Senior High School for ten years where she co-founded HAMUN, the Houston-area Model United Nations, to teach students about global politics and Congressional bills. A lyrical and passionate writer, May wrote a number of essays and short stories about Palestine and life in the States published in various regional and national newspapers and magazines. In 2013, she published a historical novel about the events leading to the Six-Day War in 1967, titled: “Ladies of the Dance.” Recently she held a book-signing at the Ramallah Club for her latest book, a compilation of her essays and short stories, titled: “Where Do Dreams and Dreaming Go?” (2017). May always had a zest for life, a sense of humor and empathy for the less fortunate. During her visits to Ramallah and Jerusalem, May never met a stranger, often interviewing shopkeepers and neighbors about their experiences during the war and occupation. Despite her challenges, she continued to enjoy life’s adventures. In tribute to her physician father, May decided to donate her body to the Texas Medical Center to help in the study of Parkinson’s disease. She leaves behind her loving husband of 45 years, Albert E. Munn, her children, Ellen Mansoor Collier and Jeff Mansoor along with their spouses, Gary Collier and Christy Fiehn-Mansoor. The eldest of five daughters, May will join her youngest sister Sina on her journey and will be greatly missed by her surviving sisters Noel Mansur, Limy Mansur and Emily Shihadeh as well as her brother-in-law Donn Hutchison. A memorial service will be held at the Live Oak Friends Meeting, located in the Heights, 1318 W. 26th St. on Sunday, September 16th at 4 p.m. in Houston, TX. In lieu of flowers, donations may be made to The Michael J. Fox Foundation for Parkinson's Research at www.michaeljfox.org.